Blog | Page 5 | DJL Accounting and Consulting Group, Inc.
Join Team Hawk to Raise Money for Leukemia & Lymphoma Society! Join Shannon Beach and I as we raise $ for Leukemia & Lymphoma. #teamhawk will be walking in honor of Hawk's fight at the Leukemia & Lymphoma Society's Light the Night event on Sunday, October 9th at Wade Oval at 5:00 p.m. Our team fundraising goal is $1,000.00. 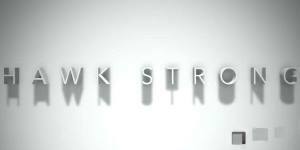 Click on the following link and search for #teamhawk to join the team or to make a donation. You do not have to donate to walk. A lot of fun activities for kids from 5:30-7, followed by 1 mile walk. Thanks for Marti Goodwin Jacobson for organizing our team. Read more about Join Team Hawk to Raise Money for Leukemia & Lymphoma Society! The new mandatory payroll true-up reports for private employers were due to Ohio BWC no later than August 15, 2016. However, because there are so many businesses that missed the deadline, the BWC has extended the deadline to September 29, 2016. If you haven't already completed your report, it is important that you get it done. The best way to complete the report is to visit the BWC website at http://www.bwc.ohio.gov and log on with your user ID and password. If you don’t have one, you will need to create one by simply following the directions located near the top right-hand corner of the BWC’s home page. Here is a video provided by Ohio BWC that shows you exactly how to complete your true up report online. CORE Industrial LLC is a Women Owned multi-discipline firm with over 75 years of combined experience offering services and products in a variety of public, municipal, commercial, transportation and industrial market segments. Their services and products include design and engineering, high-performance Abrasives, Containment Systems, Protective Paints and Coatings, Custom Steel Fabrication and Rigging Supply requirements. The CORE Industrial team is one of our best local area assets. Visit their website to learn more about the company or to contact them to discuss your next project. UpUp Video is a local company providing premier aerial video and photography services to promote your business or event. Whether you are exploring close-quarters interior spaces or flying four-hundred feet in the air, UAVs (Unmanned Aerial Vehicles) offer a nearly endless range of possibilities. With their compact aircraft and cutting-edge camera-stabilization systems, they can get shots that rival, and surpass even the most advanced traditional camera rigs. Their end to end service ensures that your newly shot 4k footage gets color corrected, color graded, and edited into formats optimized for HD TV and Digital Streaming. As an added bonus, your files are backed up via cloud-based storage and are available to you 24/7 accessible from our Intranet. Check out their video below, and visit their website at http://www.upupvideo.com. 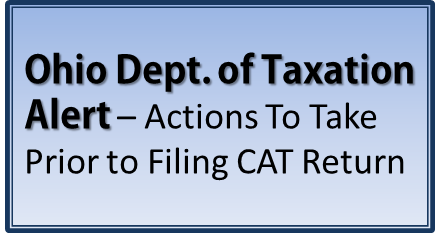 The Ohio Department of Taxation is alerting all businesses subject to the Commercial Activity Tax (CAT) to actions that may need to be taken before May 10, 2016 to avoid a delay in filing their 2015 CAT 12 annual return. Any questions, please don't hesitate to give us a call. Get to know New Dawn Design, located here in the Mahoning Valley at 1282 Trumbull Avenue in Girard. New Dawn produces screen printing items for companies all over the country, including many of the minor league baseball teams. Right next door is their sister company, Launch Local Inc., that helps companies sell unused merchandise. Check out this video. Well done! Our blog, news feeds, forms, and links to helpful resources are provided to help you find the answers you seek any time of the day or night. Please call us at 330-779-0781 for assistance. We're here to guide you through your business and personal accounting and tax questions and obligations. Address:DJL Accounting & Consulting Group, Inc. Copyright © 2019 DJL Accounting and Consulting Group, Inc.. All rights reserved.